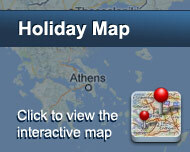 Harmony Hotel is right across the new Mykonos port. 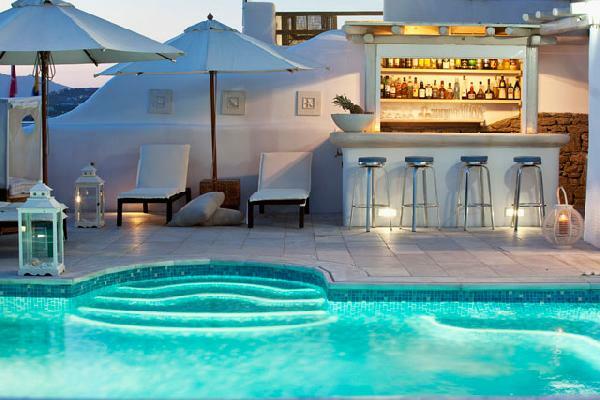 It is considered one of the best hotels in Mykonos Town with many compliments. Although being at the center of Mykonos famous for its nightlife, still it seems secluded from all this. The building architecture adds to this feeling due to the soft colourings and harmony that characterize it. All common spaces have bright coloured, modern furnishing combined with traditional elements creating imaginative pictures. The sunlight enters the whole hotel through large windows and sun lounges all around it. All rooms and suites follow the same decoration and offer high standard services to all guests. The swimming pool and the pool bar will fascinate you from the very first moment offering moments of relaxation with the most spectacular view in the island. For more sophisticated flavors choose the hotel restaurant and taste unique dishes. Harmony is the ideal choice for newly weds and couples who want to escape from routine without being far from the center. Είστε ιδιοκτήτης ή διευθυντής στο HARMONY BOUTIQUE HOTEL; Εγγραφείτε τώρα για δωρεάν εργαλεία, που μπορείτε να χρησιμοποιήσετε για να βελτιώσετε την καταχώρησή σας και να συνδέσετε την ιστοσελίδα σας και το σύστημα κρατήσεών σας.